Days after Paytm Payments Bank CEO Renu Satti stepped down from her role to lead company's new retail initiative, a Livemint report today said that the Vijay Shekhar Sharma-led mobile-first bank has stopped onboarding new users on its platform following observations made by the RBI. Paytm stopped enrolling new customers on June 20 following an audit by RBI, which made certain observations about the process the company follows in acquiring new customers and its adherence to know-your-customer (KYC) norms, the report said quoting sources. "RBI has directed Paytm Payments Bank to stop onboarding of new customers with immediate effect," it added. However, a Paytm executive told the daily that Paytm Payments Bank is modifying its account opening process to introduce current accounts due to which new account creation process has been paused. Paytm Payments Bank allows customers to open zero balance accounts without any transaction charges. It is part of a new set of differentiated banks which were given licence by the RBI with the aim of extending deposit and payments services to millions of unbanked and under-banked Indians. As per the RBI guidelines, payments banks cannot lend they can only take deposits or accept payments. It also offers an interest rate of 4 per cent on savings account. The report further says that Paytm was also asked to remove Renu Satti as chief executive of the payments bank following RBI's objections about her ability to lead a banking services firm, said the third of the four people quoted earlier. RBI requires a person to be a banker in order to become the chief executive of a payments bank. A Paytm spokesperson, however, has refuted the charge, saying, "This is incorrect... Renu Satti's appointment was made on 19th May 2017 vide an official approval from RBI." The company is yet to find a replacement for Satti, who had taken over the CEO role last year. Last month, digital payments major had claimed that it has achieved annual run rate of 5 billion transactions and registered $50 billion gross transaction value (GTV) in a year. GTV refers to the total transaction value through the platform in a given time period. In a blog, Paytm said that it has processed over 400 million BHIM UPI transactions in last six months. "We have also achieved 500 per cent growth in money transfer transactions last quarter," it said. 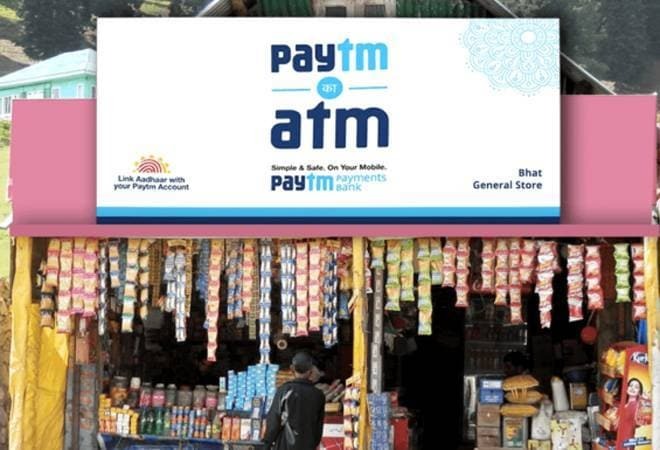 Paytm had said that it has witnessed a tremendous increase in adoption of digital payments in tier II and tier III cities that constitute 50 per cent of its total user base.